Relativity Media Release Third Trailer for Tarsem Singh's 'IMMORTALS'! Relativity Media have released a third trailer for Tarsem Singh's epic 3D action-adventure fantasy Immortals. The movie stars Henry Cavill, Stephen Dorff, Isabel Lucas, Freida Pinto, Luke Evans, Kellan Lutz, John Hurt & Mickey Rourke. Immortals opens in 2D & 3D theaters this November 11th. Hit the jump for the details. Updated: with Embed. Synopsis: "Visionary director Tarsem Singh (The Cell, The Fall) transports us in this epic tale of treachery, vengeance and destiny in Immortals, a stylish and visually spectacular 3D action adventure. As a power-hungry king razes ancient Greece in search of a legendary weapon, a heroic young villager rises up against him in a thrilling quest as timeless as it is powerful.The brutal and bloodthirsty King Hyperion (Mickey Rourke) and his murderous Heraklion army rampage across Greece in search of the long lost Bow of Epirus. With the invincible Bow, the king will be able to overthrow the Gods of Olympus and become the undisputed master of his world. With ruthless efficiency, Hyperion and his legions destroy everything in their wake, and it seems nothing will stop the evil king’s missionAs village after village is obliterated, a stonemason named Theseus (Henry Cavill) vows to avenge his mother, who was killed in one of Hyperion’s brutal raids. When Theseus meets the Sybelline Oracle, Phaedra (Freida Pinto), her disturbing visions of the young man’s future convince her that he is the key to stopping the destruction. With her help, Theseus assembles a small band of followers and embraces his destiny in a final, desperate battle for the future of humanity. 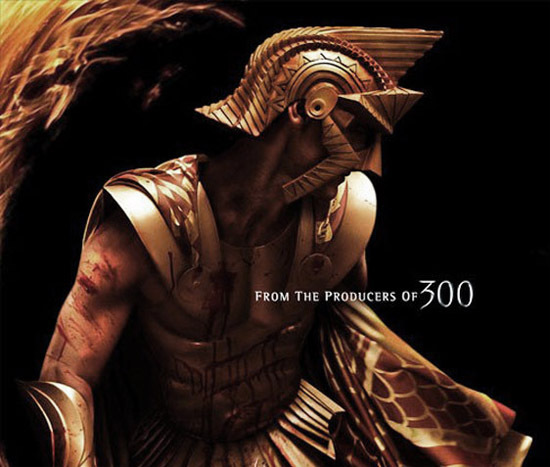 Immortals is produced by Gianni Nunnari (300), Mark Canton (300) and Ryan Kavanaugh (The Fighter)." I'm reading: Relativity Media Release Third Trailer for Tarsem Singh's 'IMMORTALS'!Tweet this!